NEW BRITAIN — With Mayor Erin Stewart working to find a replacement for the outgoing New Britain Rock Cats, the founder and chief executive officer of Atlantic League of Professional Baseball appears to have Hard-Hittin’ New Britain on his radar. Frank Boulton, who owns two of the league’s eight teams, including the Bridgeport Bluefish, said Wednesday the organization will conduct a feasibility study on bringing a new minor-league baseball team to New Britain Stadium. Boulton said he has been talking with Stewart for several months about the possibility of either relocating an existing team from the league to the city or starting a new franchise here. If an Atlantic League team comes to New Britain, it’s not clear if it would be in time for the 2016 season. The Rock Cats are currently playing their final season at New Britain Stadium. The team is scheduled to start the 2016 season next spring in Hartford. The mayor said the Atlantic League possibility is the most promising of a number of options, including the Canadian-American League and Futures League. 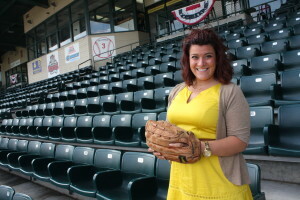 New Britain Stadium seats approximately 7,000 people. Stewart said plans for a makeover include box seat improvements and new skyboxes. City business and political leaders said bringing another team to the stadium would be a boon to the city.